Buying a cheap wig may save you cash, but it might not look like you have just walked off the catwalk. 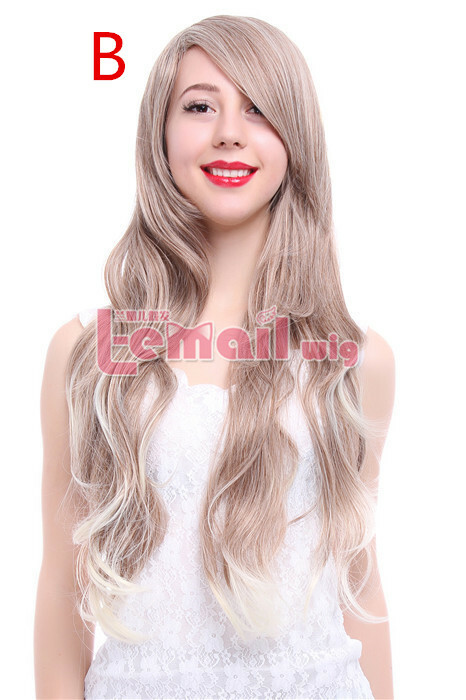 The synthetic hair fibers are often untamed, the wig ill-fitting and the overall appearance lackluster. However, there is a solution. You can jazz up your wig with some accessories so you can wear it with pride without worrying that it somebody thinks it looks cheap. Brush the hair on the wig using a fine-tooth comb. It is best if you use a styling head to do this, but without one simply hold the area to be brush flat against a hard surface, and brush downwards. Use a bigger comb in the beginning to remove tangles if you need to. Cut the wig so that the layers are even, the fringe straight or the bottom of the hair horizontal. Often, cheap wigs are not cut properly. Get a friend to put the wig on in order to do this like a pro. Wear a wig cap, which can flatten your real hair, enabling the wig to sit closer to your head. Put the wig on from the front to the back of your head. Stick it in place using strips of wig tape. Position these underneath the front and back of the wig to keep it secure. Make sure the tape is not visible from the outside. Assess the positioning of the wig. Cheap wigs might slip to either side so it is important to line it up, so that the parting is in the correct position, without being lopsided. 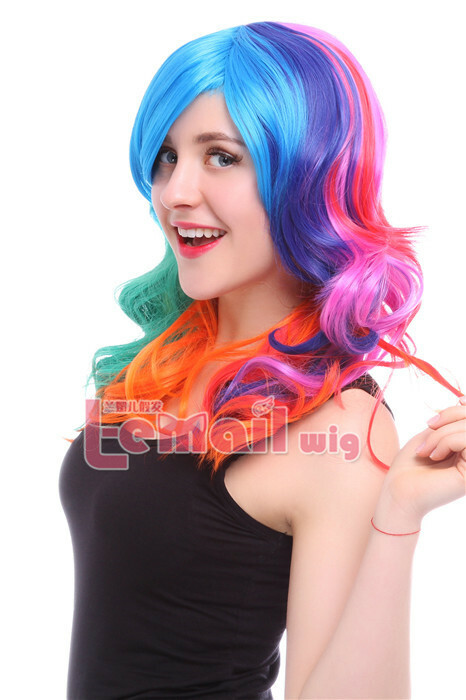 Manipulate the angle of the wig to achieve this. Perk up the wig with a flower and ribbon. Wrap a length of ribbon around your head. It should be tied behind the back of your head, and rest just behind your ears. The top of the ribbon is just behind the fringe or front of the wig. Pin the flower to the side to the ribbon using a bobby pin. Secure it off-center for a more fashionable look. Slide the pin below the ribbon and position the stem of the flower between the pin’s grips. Wriggle your head to make sure it is in place. Hairspray the wig to hold it in place. The hair fibers will not tangle or fly upward looking cheap and untamed. Apply a heavy amount of hairspray, and while you spray it gently stroke the wig from top to bottom to position the wig how you want it. If it has curls, feed these through your fingers to encourage the hairspray between the curls to keep the swirls in place. 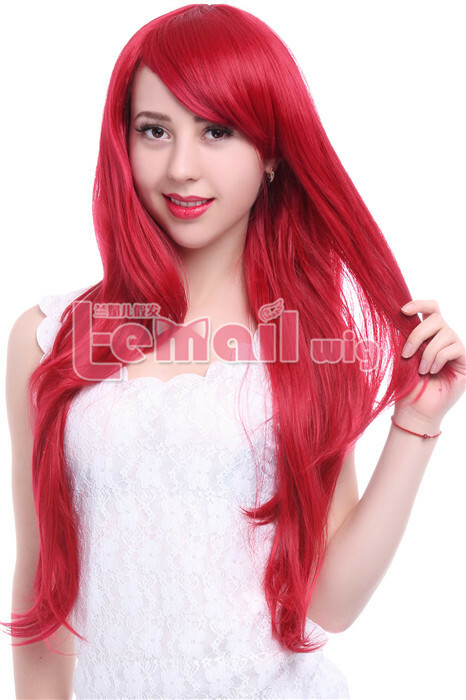 This entry was posted in Buy Cosplay Wigs, Fashion Wigs and tagged cheap fashion wigs, L-email wigs, synthetic fashion wigs.